Clockroaches* are actually very clean and friendly creatures. Well… these ones are. They are very well behaved: infesting your clock, and only your clock. There’s even one little guy who jumped on the second hand for a ride! All our wall clocks are hand-crafted and unique, so they will differ slightly from the clock pictured. 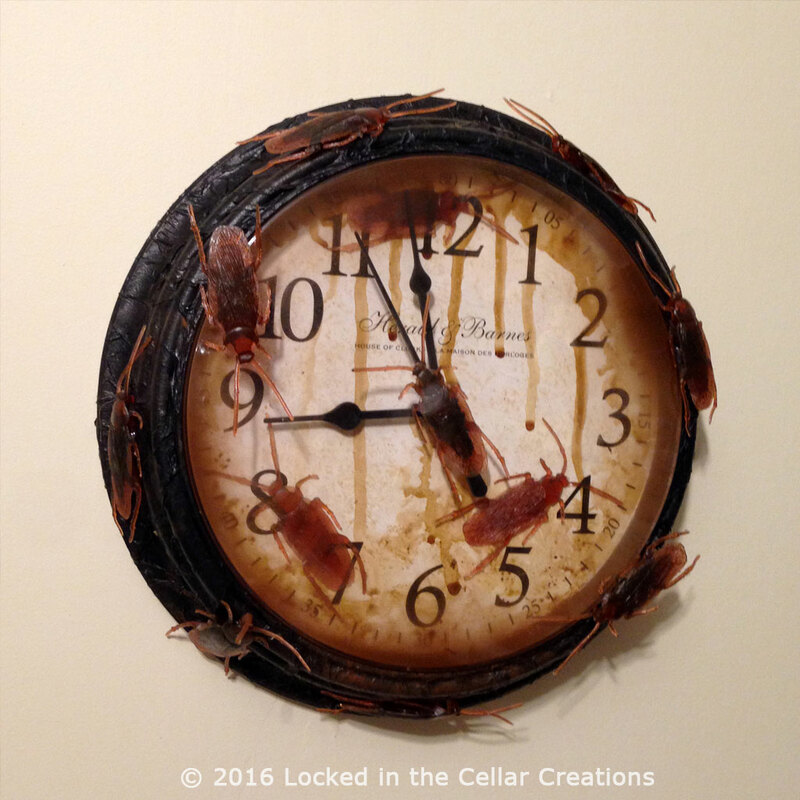 But rest assured, it will be infested with clockroaches*! 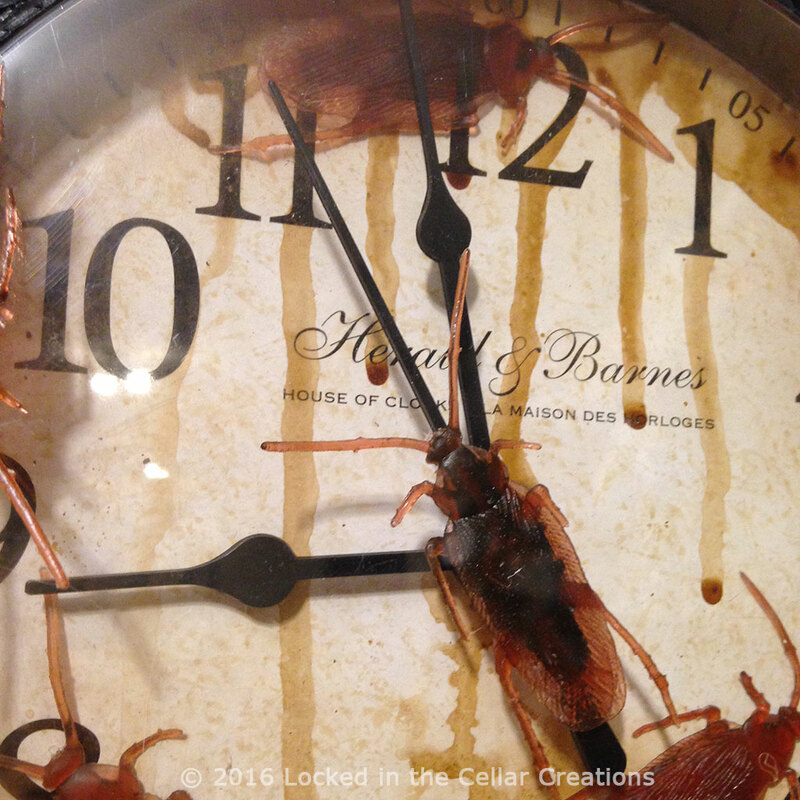 Cursed Clocks are not silent, but tick audibly and ominously. 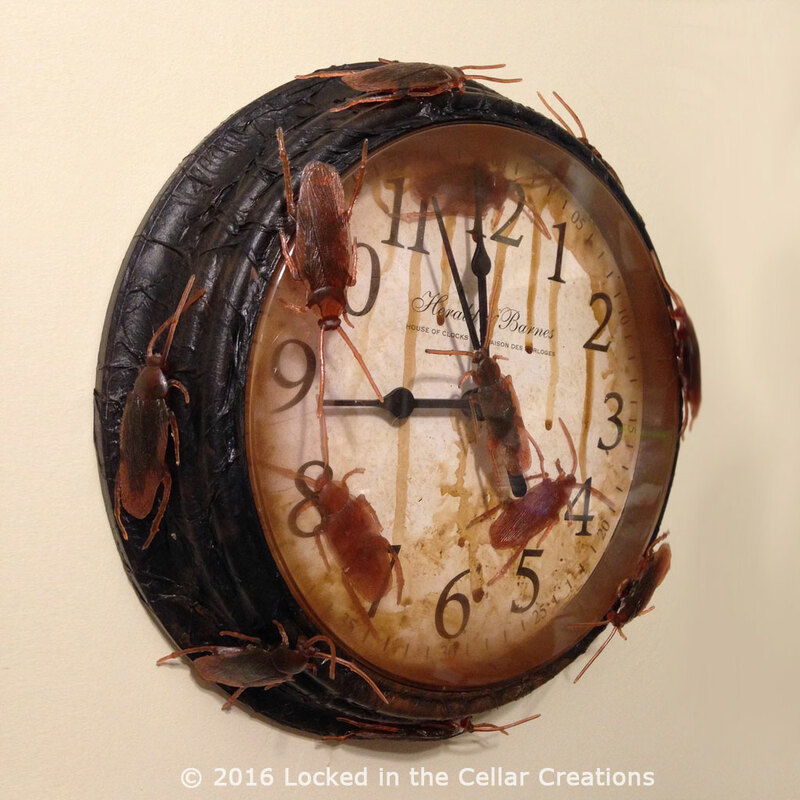 * We do not use real roaches for decorating our clocks. They’re fake.